A law has come into force in the Republic of Ireland - traditionally Roman Catholic - setting out for the first time when abortion is permitted. It was passed in July, after the death of a woman refused abortion highlighted the lack of legal clarity. The Protection of Life During Pregnancy Act allows terminations where there is a threat to the life of the mother. It will also be allowed where doctors agree the expectant mother may take her own life over her pregnancy. The government has stressed that the new law does not weaken the general prohibition on abortion. 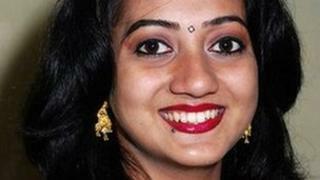 Savita Halappanavar, a 31-year-old Indian dentist, was admitted to hospital in Galway while miscarrying in October 2012. Her request for an abortion was turned down, and she died a week later from septicaemia. Her inquest heard that she could not get a termination at the time because her life was not in danger but, by the time her life was at risk, an abortion would have been too late to save her.